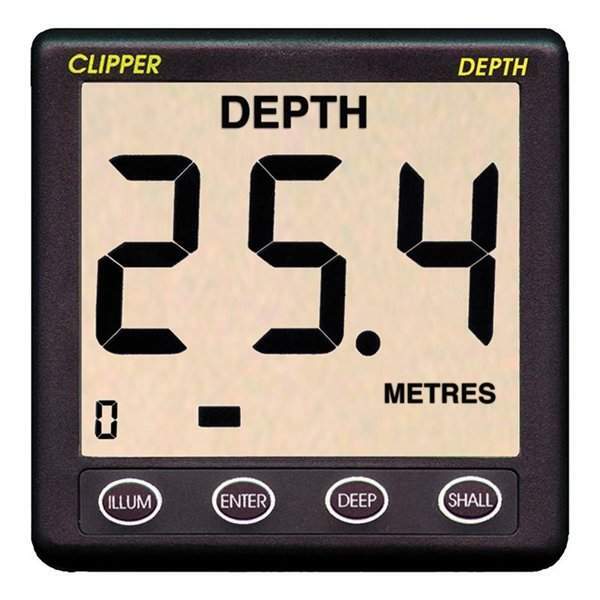 Depth sounder with a giant 40mm high digits for easy viewing. 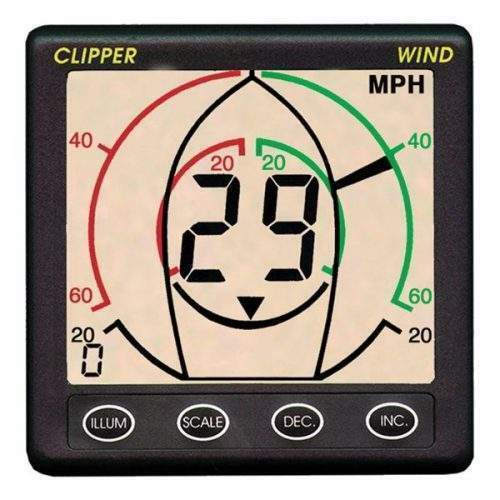 The outstanding Clipper range of instruments incorporate technically advanced electronics in an industry standard 110mm square case. 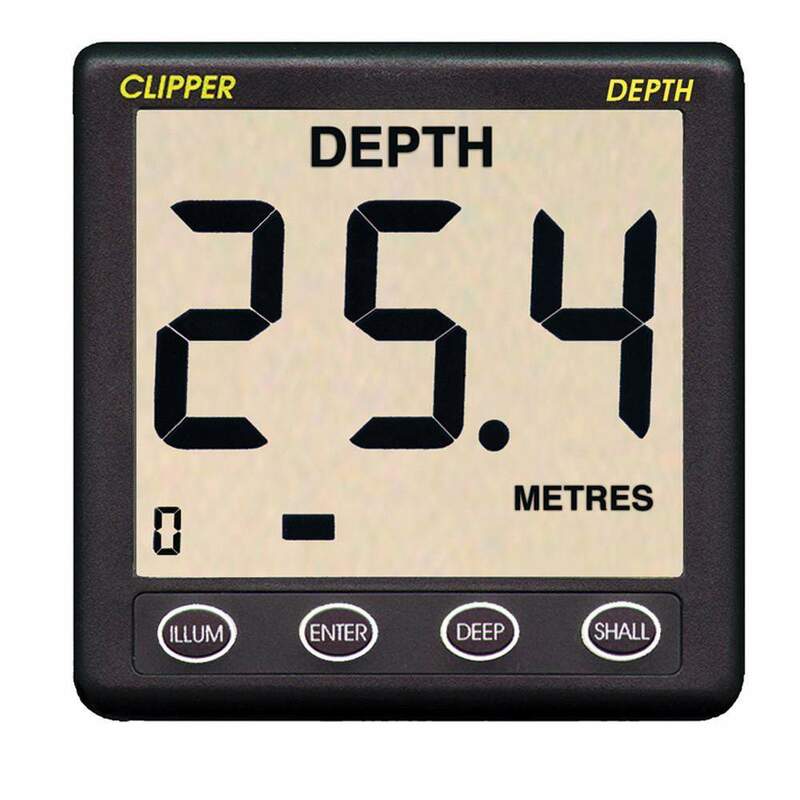 Supplied complete with paddlewheel transducer and in hull depth transducer. 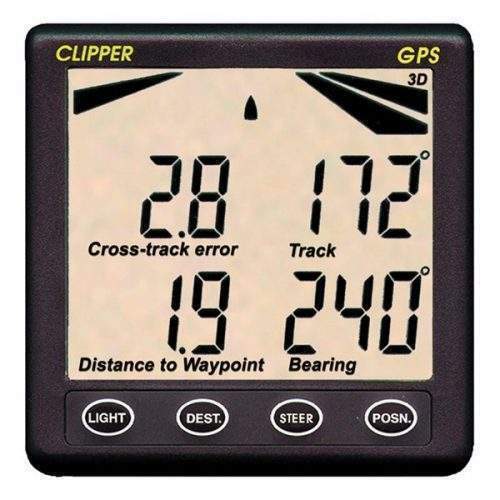 Depth Repeater has its own independent alarm function as well as repeating all data from the master unit. 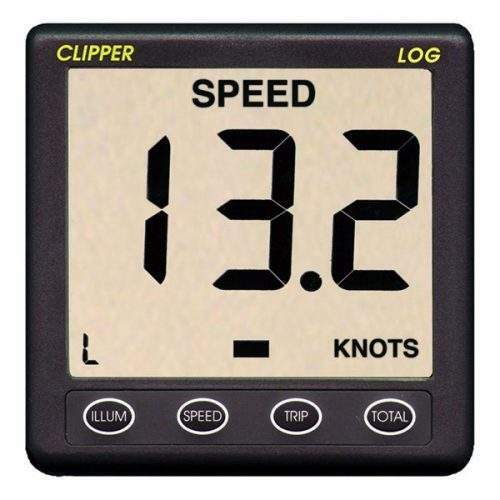 The Clipper Echosounder is supplied complete with display unit, transducer and alarm. It is intended for 12V ship’s supply operation although, because of its lower power consumption, it can be run from an external dry battery.